The ThevoChair is a unique movement chair that combines optimal sitting comfort for well-being with daily training for health. It provides the possibility of resting while ensuring an improvement in mobility. Mobility has an influence on health and well-being at any age. 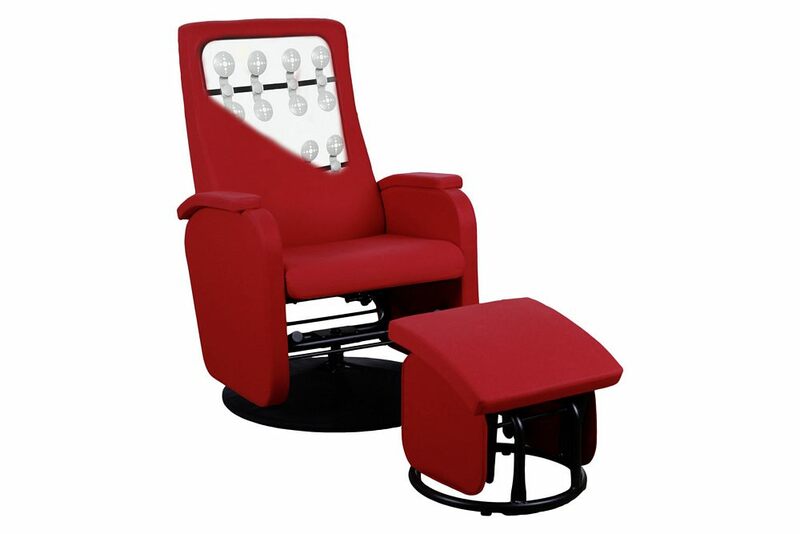 Also, small movements such as gentle rocking on the ThevoChair help you to stay fit. Already minimal pulses of the user cause our chair to gently rock, thereby effectively promoting the mobility. This occurs completely without electricity. The ThevoChair helps you at home or in the care facility to gently move the joints in areas such as hips, knees and feet and to keep them active. Through this, you can prevent or reduce pain and prevent stiffening of the musculoskeletal system. Regular movement trains the veins and can prevent heavy legs. The high positioning of the feet on the resonating stool helps to prevent water accumulation. The ergonomically shaped stool with its 112° to 115° adjustable backrest ensures a pleasant sitting position. Rocking helps you to stay healthy. 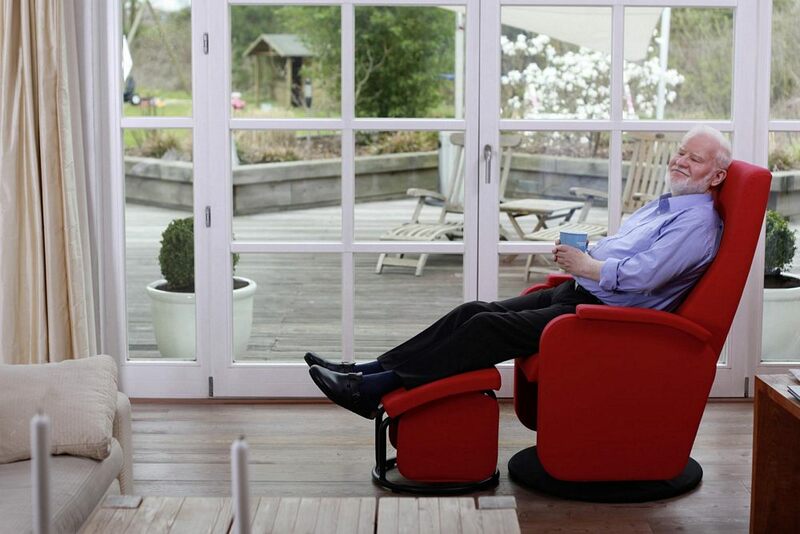 Through regular rocking on the ThevoChair the body perception and sense of equilibrium is improved. Older individuals thereby suffer less falls. Due to the fact that the ThevoChair does not have any rocking runners, it offers a high level of stability. The user can sit down and stand up alone again. 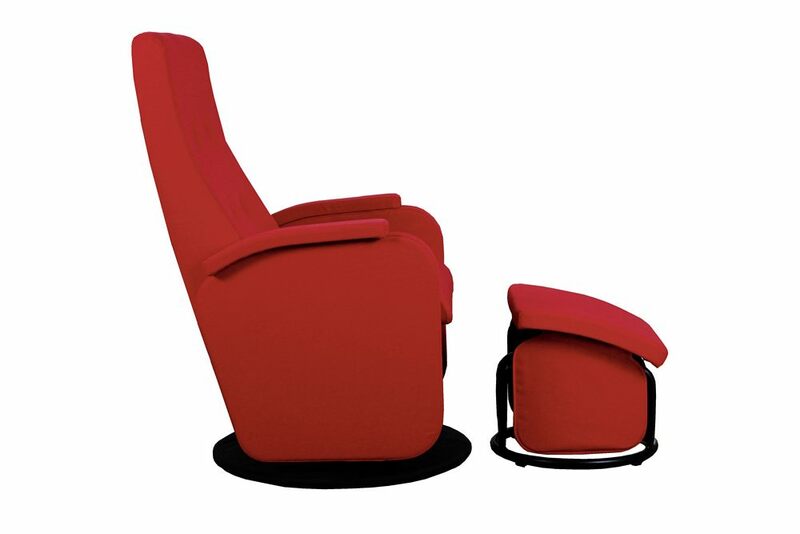 The foot of the ThevoChair serves for optimal orientation as it allows an independent rotation while being seated. This makes the user flexible, independent and secure. Height: 110 cm / 43.3"
Height of back: 72 cm / 28.4"
Breadth (width): 73 cm / 28.7"
Depth of seat: 47 cm / 18.5"
Width of seat: 55 cm / 18.5"
Seat height: 48 cm / 18.9"